Whether you are looking for a boutique hotel for business or pleasure, “elegant” is constantly redefined at Old Mill Toronto. With 57 beautiful rooms & suites, Old Mill Toronto provides elegant, luxury getaways for couples, and compliments your corporate retreats. Combining natural beauty with an unhurried pace, Old Mill Toronto invites you to Escape the Ordinary. Our hospitality team pays special attention to every detail, providing the special touches to make your stay at Old Mill Toronto a memorable getaway experience. 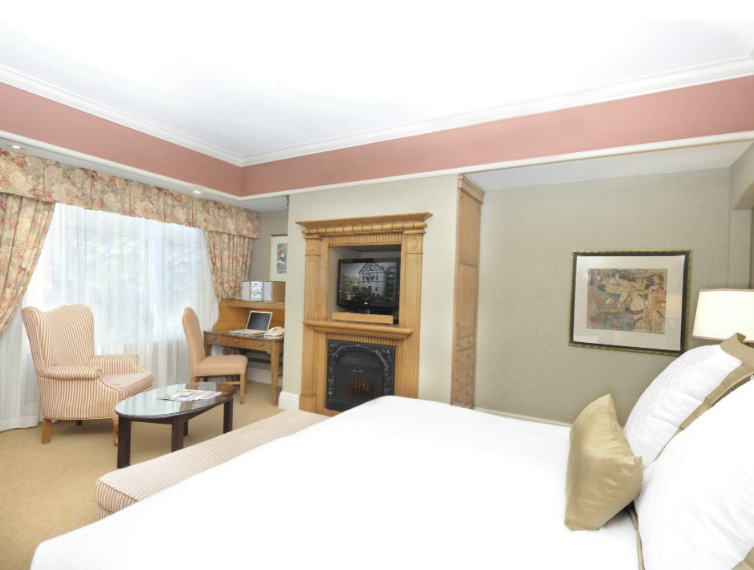 Our excellent service, elegant atmosphere, and exceptional accommodations will make your stay at Old Mill Toronto unforgettable. The grandest of our suites at nearly 1000 square feet of elegant accommodation has spectacular views of the lush Humber Valley Parklands. The gracious and sophisticated décor of this suite features hardwood floors, hand-woven rugs, a mahogany four-poster king bed, separate dining and living areas, a wet bar and an all-season fireplace. A stunning appointed and spacious bathroom features a fabulous round whirlpool tub for two with a separate glass shower. 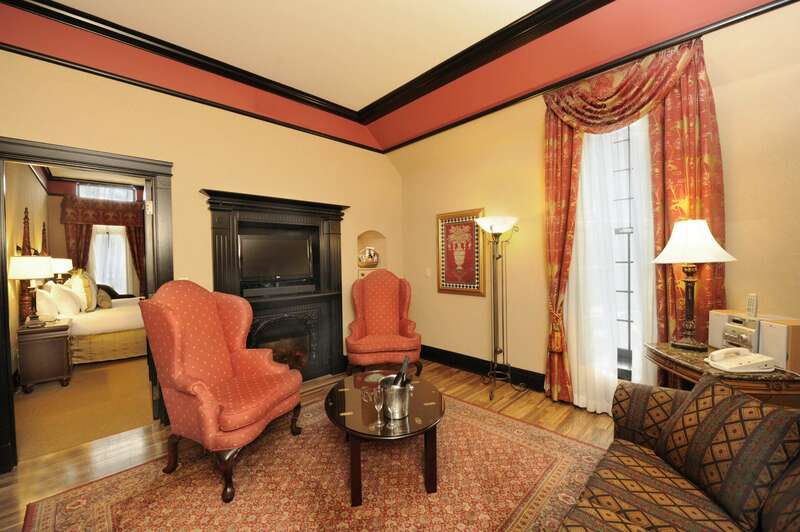 All of the exquisitely furnished rooms & suites exude elegance and style. Our high ceilings and oversized windows add to the grandeur, distinguishing the Old Mill Toronto as a boutique hotel with an elegant, historical ambiance. Our luxury spa offers an extensive menu of massage therapy, facial treatments, and full body treatments for a fully customizable spa experience. 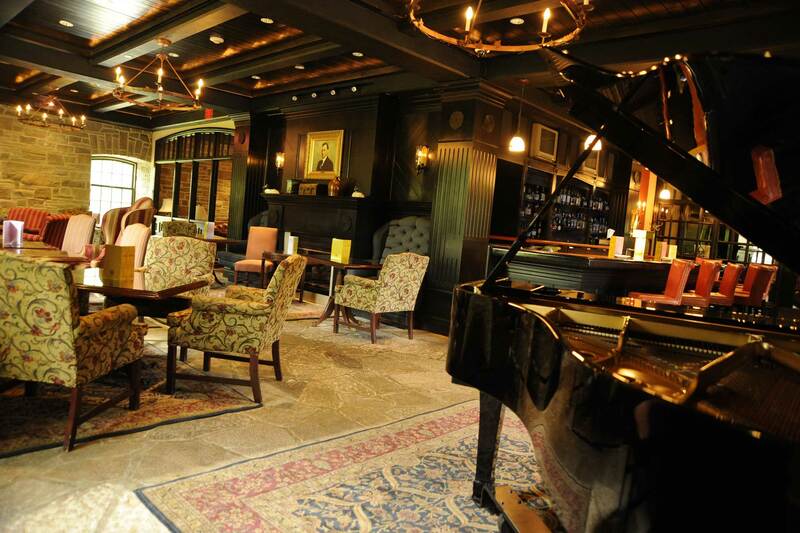 The Home Smith Bar features some of the best jazz in Toronto and is a perfect place to enjoy a cocktail or a casual dining experience from our inspired chefs. The Old Mill Dining Room offers elegant fine dining, with menus that reflect the change of the seasons. During the warmer summer weather, you can dine al fresco at the beautiful Courtyard Patio. A well-equipped fitness center, complete with strength and cardio equipment, gives our guests a place to focus on their health and body. 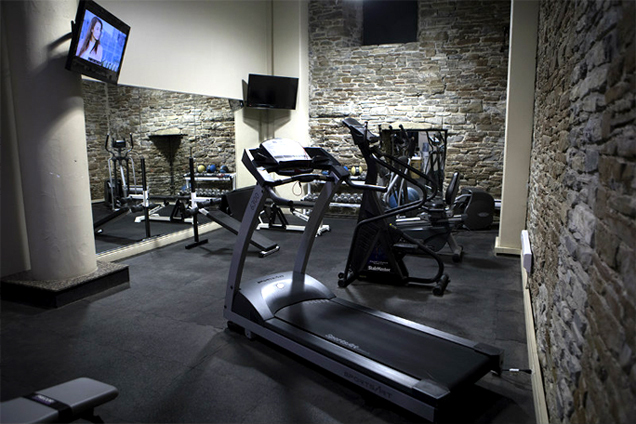 Surrounded by rustic stonewalls, the fitness centre is located on the lower level of the original historic Mill building. 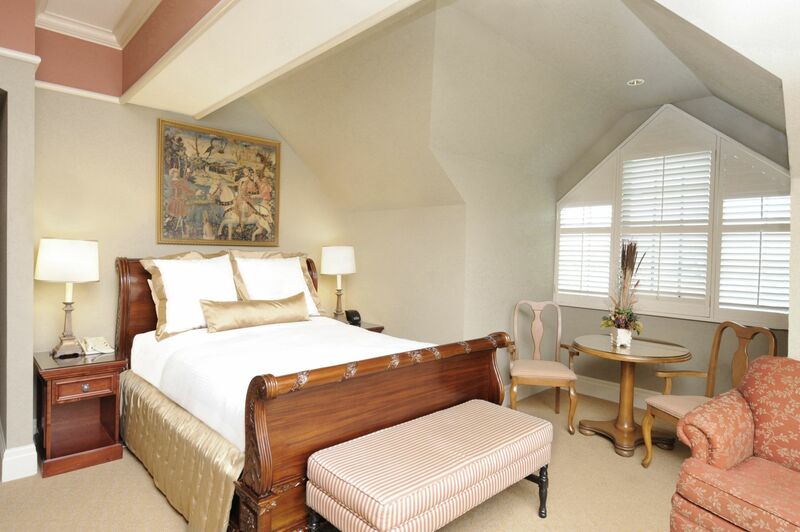 Old Mill Toronto hotel is simply the finest amongst Toronto’s luxury boutique hotels.